The Automation area is one of the main drives of our company. We provide a wide range of services, including Programmable Logic Controlled (PLC) application design, development and/or modifications, Human Machine Interface (HMI) applications design, development and/or migrations, database and historian design, reports generation among others. Our team designs using the latest versions and leading software’s in the market as Rockwell Automation FactoryTalk View Studio, GE Digital iFix HMI/SCADA, Rockwell Automation Studio 5000, SAP Crystal Reports, MSSQL, C# WebApp, to provide a complete solution to our customers. Every application is custom tailored to the customer’s needs, based on the user requirements and complying with the CRF 21 Regulation’s and Data Integrity requirements. Every single application detail is in a Detail Design Specification, provided to our customers among other Validation documents as part of our service. 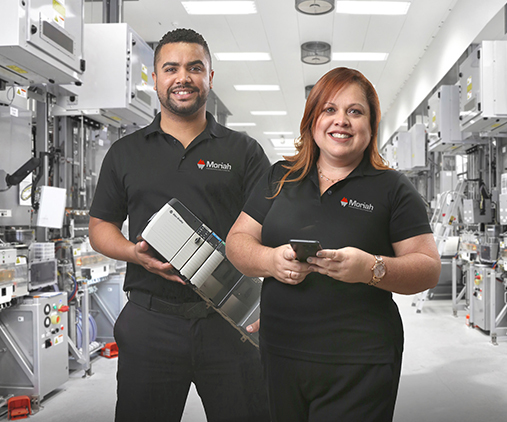 At Moriah Engineering Solutions, Inc., we offer a full range of computer system validation services, including consultancy, planning, generation and execution of CSV Life Cycle documentation following client's standards, cGMP regulations, and ISPE GAMP™ . Our experienced team can help you to assess your quality systems and processes; and provide solutions for any weakness. We provide support in the generation and execution of remediation. Our staff of data integrity certified and experienced professionals will provide consulting solutions to meet your data integrity needs. Outsource your resourcing needs to us! At Moriah Engineering Solutions, Inc., we are reliable and trustworthy. We have a pool of high skill professionals in Automation, CSV, Data Integrity, QA/QC, Manufacturing IT that can support your business processes. For more details about our Outsourcing services, Contact Us.